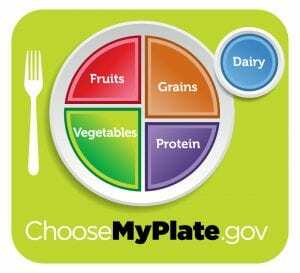 Learn more about the five food groups that are the building blocks for a healthy diet. Catholic Social Services’ Choice Food Pantry is one of the busiest pantries in Montgomery County, serving residents of neighborhoods in west and northwest Dayton with especially high rates of poverty, unemployment and underemployment. Pantry clients include the working poor, senior citizens, and persons with disabilities. In 2017, 42% of the households we served included children. Pantry clients can also access the services of a case manager who can provide information and linkages to other necessary social service programs, and can also provide one-on-one case management through our Family Stabilization & Support program. Our pantry is open on Monday through Friday, from 9:30 to 11:30 a.m.
We are CLOSED on the first Friday of every month, and on major holidays. How much food do you give people? Those who are eligible to access our pantry can receive full service once every 30 days. Based on the size of the household, we provide enough food to last for about five days. Emergency food pantries like ours are designed to supplement the food people can purchase for themselves with their own income and other benefits like SNAP. We do also make fresh produce available on a daily basis, with no restriction on how often clients can come back for just these items. What if I‘m homebound and can’t get to the pantry? If you are homebound, you must send us the following items along with a signed note requesting service and a phone number where we can contact you. Call (937) 223-7217 ext.1144 if you have questions about this documentation. What if I need food, but don’t live in your service area? Area food pantries are designated to serve residents of specific zip codes. If you live in the Dayton area and need to find a food pantry for your zip code, you can call United Way’s 24-hour “HelpLink 2-1-1” service, at (937) 225-3000. What is a "choice" pantry? Instead of receiving a pre-packaged box or bag of groceries from our pantry, our clients get to select the items they want based on their household size. The “choice” model respects the dignity of the client, and also helps reduce waste, as people aren’t taking home food items their families don’t like or might even be allergic to. Most of the food we distribute comes to us through The Foodbank. We also receive donations from individuals, families, churches, businesses, schools and other community partners. Because we sometimes have need of items that have not come to us through these sources, we do also supplement our pantry shelves with items purchased through a wholesale source. Can I volunteer in the pantry? The Choice Food Pantry relies on many volunteers, and we’re always looking for more. We work with both individuals and groups, and volunteer service can be a one-time or ongoing opportunity. Call our Parish & Community Relations Manager at (937) 223-7217 ext.1141 for more information. How many people does CSSMV’s pantry serve? 15,823 unduplicated clients were served. 6,028 unique families/households were served. 42% of the households served included children. We made 2,993 service referrals so pantry clients could get additional assistance from other programs or agencies. Eligibility requires household income below 200% of poverty level. You must provide proof of your home address in the 45402, 45405, 45406, 45417 or 45428 zip code. The Choice Food Pantry serves residents of five zip codes in the City of Dayton: 45402, 45405, 45406, 45417 and 45428. For more information about pantry services and eligibility, or if you’re interested in donating food items, please call (937) 223-7217 ext.1144. Pantry entrance is on the Orth Avenue side of the building.